In 1984, a revolution occurred in the world of particle physics. John Schwarz of California Institute of Technology (Caltech) and Michael Green of Queen Mary University of London announced their revolutionary discovery in superstring theory. The theory proposes that fundamental constituents of the microscopic world are one-dimensional objects—string—in order to describe the universe within a single mathematical framework. However, previous attempts to reconcile this proposal with experimental observations in particle physics had met with several obstacles that left this approach largely ignored for over a decade. Green and Schwarz discovered how those obstacles could be overcome. That year was a sea-change for theoretical particle physics. Leading authorities and young researchers in particle physics swarmed to string theory research. That was also the year that a young Hirosi Ooguri started graduate school with dreams of studying particle physics. Ooguri began his career in Japan and later moved overseas. Now thirty years later, he stands at the forefront of particle physics research and is Schwartz’s colleague at Caltech. 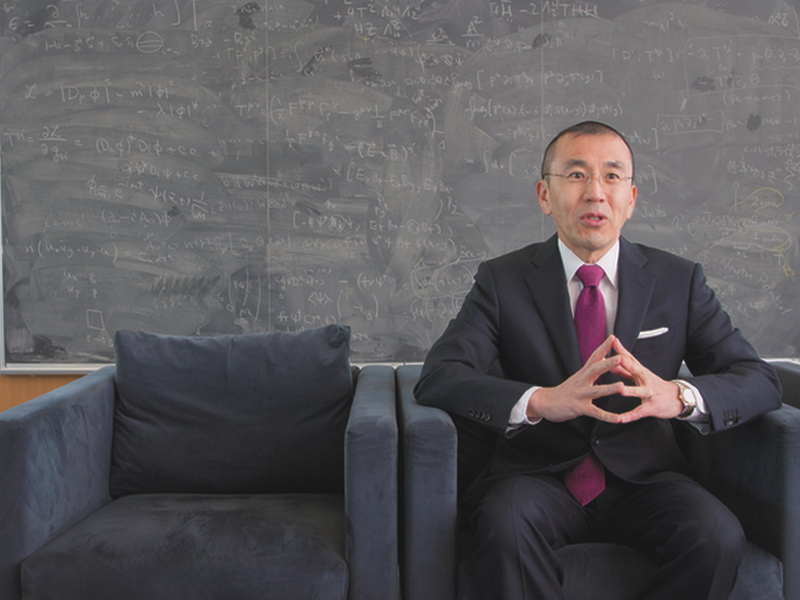 In 2007, Ooguri helped establish the Institute for the Physics and Mathematics of the Universe (IPMU) at the University of Tokyo and became one of its Principal Investigators. In 2012, the IPMU received an endowment from the Kavli Foundation in the United States and was renamed the “Kavli IPMU.” At Caltech, Ooguri is the inaugural holder of the Kavli Chair, an endowed professorship funded by the same Kavli Foundation. 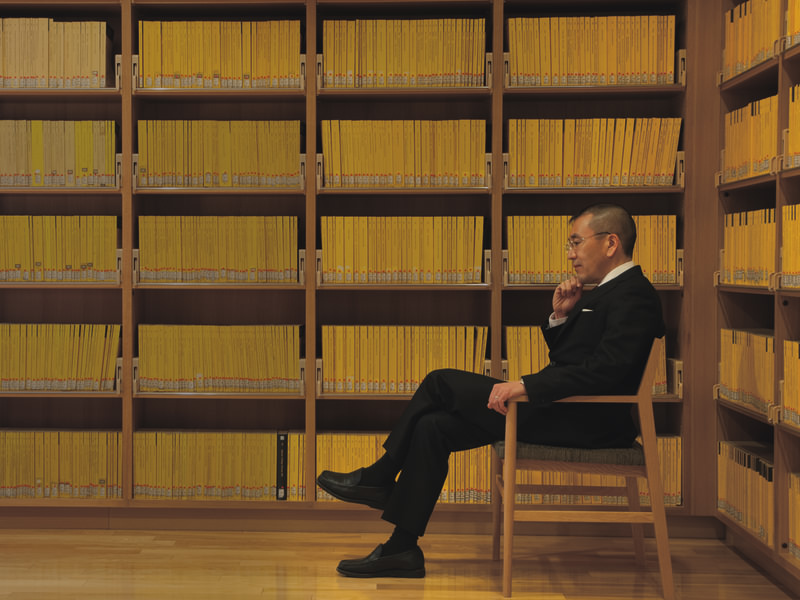 Ooguri looks back on the first days of his research thirty years ago with nostalgia. Without the Internet, access to cutting-edge research was limited. It was a long time to wait, and Ooguri devoured those long-awaited papers as soon as they arrived. In 1988, after serving for two and a half years as an Assistant Professor at the University of Tokyo, Ooguri got his chance to visit the United States. He took a leave of absence to stay at the Institute for Advanced Study in Princeton, which had become the mecca of superstring theory research. There were other great rewards from being right where state-of-the-art research was being performed. Ooguri was able to see, for example, that even the greatest researchers sometimes stumble over details and get stuck on problems that later seem trivial. He learned first-hand that the only way to make great discoveries is to build them on a base of numerous smaller ones. He was also surprised by the amount of information exchange that went on in informal surroundings. Casual conversations over lunch could lead to breakthroughs. Social events among young researchers were an invaluable resource for research. Ooguri returned to Japan after two years, and then went back to the United States in 1994 as a Professor at the University of California at Berkeley. In the twenty years since, he has made California the base for his life and research. Among Ooguri’s achievements are powerful techniques he developed in topological string theory, which enable exact calculations in fundamental problems in superstring theory. In particular, these techniques have been used to understand quantum mechanical properties of black holes. Part of the reward for those results was obtaining a Professorship at Caltech in 2000. In 2007, he also became a Principal Investigator at the IPMU and has been crossing the Pacific almost every month since then. Obtaining tenure is an important part of building an academic career in the United States, and doing so requires accumulating research and teaching experience. Young researchers build their reputations while they are at tenure-track positions, and then are awarded tenure after passing a review. Behind this is the liberal arts tradition that prevails in the West. Since the days of ancient Greece and Rome, linguistic skills including grammar, rhetoric, and logic, have always been emphasized as being central to the cultivation and education of free individuals. Ooguri says that the weakness of training in these areas is a significant handicap for Japanese students. Coming from one who is at the forefront of international competition himself, Ooguri’s words are encouraging. Principal Investigator, the Kavli Institute for the Physics and Mathematics of the Universe, the University of Tokyo. BS Physics, Kyoto University Faculty of Science (1984). MA Physics, Kyoto University (1986). PhD Physics, the University of Tokyo (1989). Previous positions include Research Associate at the Institute for Advanced Research; Associate Professor at the University of Chicago; Associate Professor at Kyoto University; and Professor at the University of California at Berkeley.